LinkedIn is the world’s most popular social network for professionals. 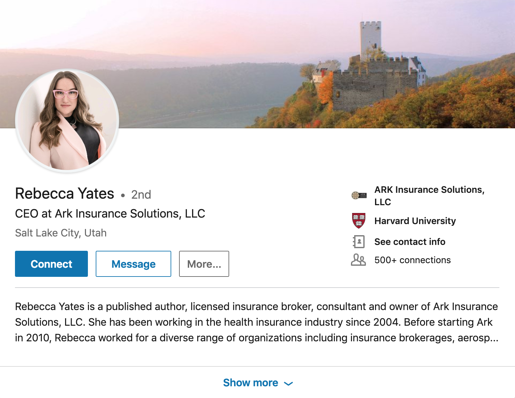 If you’re looking to transform your insurance referral marketing program and you sell insurance services to business owners and leaders, LinkedIn can be a gold mine. The platform, after all, boasts upwards of 575 million users and gives you access to CEOs, managers, and other decision makers. It’s also searchable by geography, so you don’t have to worry about getting leads in areas where you’re unauthorized to sell. Unfortunately, you can’t simply create a profile on LinkedIn and expect your work to be done. For the best results, you need to build and maintain a robust presence on the platform. Leveraging personal LinkedIn accounts is an ideal strategy for driving additional site traffic and leads. Whether you are working from home or in a corporate office, with the right approach on LinkedIn, you can grow your business at a low cost—even when you’re sleeping. Whether you are a single broker or part of a larger team, you are a brand ambassador for your insurance business. Leveraging your personal LinkedIn account is an ideal strategy for driving traffic to your website, getting more leads, and generally getting found online. Create brand consistency across your LinkedIn profile and your team's profiles, including job descriptions, header images, bios, and featured content, to reinforce the brand and messaging your clients see in your email marketing and on your website. LinkedIn lets you customize your public profile URL. Take advantage of this option, since linkedin.com/in/yourname looks more professional than linkedin.com/in/yourname82325237, for example. Connect with people you know—friends, former colleagues, current coworkers, people you’ve met at networking events—and see how they’re using LinkedIn. Once you’ve grown your network, you can start connecting with second-degree connections (people who know people you’re connected with) and third-degree connections (people who know people who know people you’re connected with). Keep in mind that, when you’re just starting out, some of these folks may be hesitant to connect with you—particularly if you don’t have many connections—because they might think you’re a spam account. Best practices suggest waiting until you have made several connections on the platform to reach out to people you don’t know. Once your profile is complete, you can start sharing posts and status updates. Remember, LinkedIn is a professional network. Pictures of your family belong on Facebook or Instagram. This social network is perfect for sharing news about your company and commenting on developments in your industry. Keep in mind that nobody wants to see you talking about your company all the time. The best LinkedIn profiles maintain a good balance of company-specific and industry-specific updates. LinkedIn groups can be particularly helpful for those looking to learn new tips and tricks and meet new people. If you’re up for it, join the Insurance Professionals group to get exposed to new ideas and grow your network further. Key influencers are unlikely to connect with you when you have a sparse profile with no activity, no photo, and few connections. 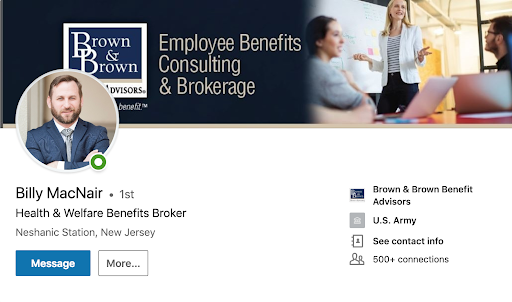 With a robust LinkedIn profile in place, you can begin connecting with these folks. 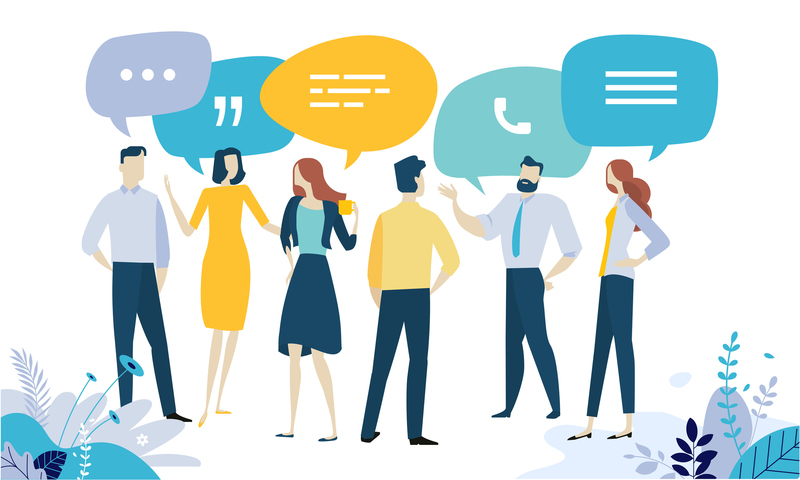 A few perfect connections can really transform your insurance referral marketing program over time. So far, everything we’ve covered in this article is completely free. But LinkedIn also offers paid products—such as LinkedIn ads and premium profiles—that can help you get even more utility out of the platform. LinkedIn ads increase your exposure, while premium profiles unlock additional features on the platform—such as the ability to directly message people who are not in your network. Once you’ve got the hang of LinkedIn, it may be worth pursuing either option to unlock the full power of the platform. Using LinkedIn can be a free way to grow your insurance business that doesn’t require countless hours of your time. In a worst-case scenario, you’ll end up setting up a respectable LinkedIn profile, establishing yourself as a bona fide professional who adds value for the folks in your network. Even if you don’t get any new business out of it, you still get to network with people who matter to your business. If things work out swimmingly, on the other hand, you can build a referral engine that sends you hot leads around the clock. With so much potential upside—and, really, no downside—what’s not to like? For more insurance marketing ideas for your referral program, check this out.